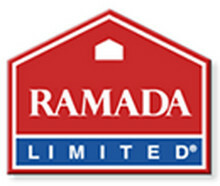 The Ramada Limited Downtown San Jose is located just 2 1/2 blocks from the San Jose Convention Center in San Jose's SOFA entertainment district. 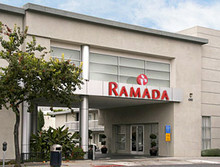 The Ramada is just a short stroll to San Jose's Center for the Performing Arts, the Ballet, Children's Discovery Museum, San Jose's Tech Museum, the Fox California Theater and several wonderful restaurants and night clubs—and just a few minutes drive to Santana Row, a shopper's paradise of designer boutiques. 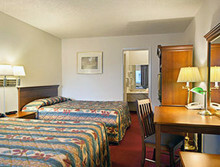 All San Jose Ramada rooms come equipped with refrigerator, direct dial phone, iron/ironing board, hairdryer, clock radio, remote cable television with HBO, ESPN, CNN and FM radio station—and all are individual air conditioned and heated.